Samsung has just recently introduced 30-nanometer-class1 DDR3 synchronous dynamic random access memory (DRAM) modules designed for upgrading your PC. This new generation of faster, energy efficient DRAM modules is going to be available via consumer retail channels this summer. According to Samsung Electronics America's Senior Vice President of Mobile Entertainment Marketing Reid Sullivan, "Replacing your DRAM can be one of the easiest, most cost-effective ways to upgrade your PC's performance, and these new products offer the most energy-efficient option currently available to consumers. Samsung is committed to bringing performance-enhanced computing to consumers, and our 30nm-class process technology offers an outstanding combination of advanced low-power DDR3 technology, with blazing speed up to 1,600 megabytes per second." You can get this new DRAM from Samsung in either a 2GB or 4GB model and both are available in very low profile unbuffered dual in-line memory module configurations for desktop PCs and small outline DIMM configurations for notebook PCs. They are also backwards compatible with systems designed for previous DDR3 and DDR2 memory and can be purchased in single or dual pack quantities. These memory sticks are also more energy efficient, using up to two-thirds less energy than those manufactured with industry standard 60nm class technology. What is great about that is that this boost in energy efficiency does not come at the cost of performance. The new modules transfer data at up to 1,600 Mbps which is 20% faster than the current 40nm-class generation of DDR3 DRAM from Samsung. 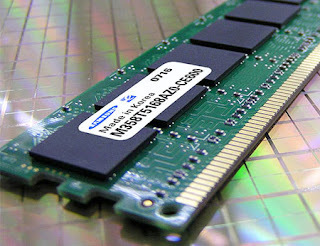 The new 30nm-class DDR3 DRAM modules will be available from Samsung this summer with single pack modules costing less than $30 to less than $55 and dual pack modules ranging from less than $55 to less than $110.